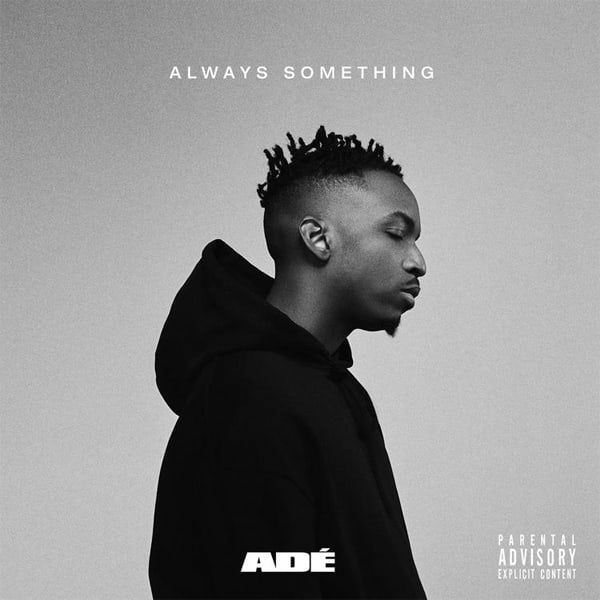 Review: Adé Strives For Brighter Days On "Always Something"
During Hip Hop’s blog boom, Phil Adé made himself a name to watch through impressive collaborations with the likes of Wale, Mac Miller, and Goldlink. Now he’s reinventing himself as simply Adé, and his first project since the switch brings the refreshing energy to validate his change in direction. On Always Something, a playful, lighthearted brightness connects the EP from start to finish, infusing energy into the ears through colorful synths and warm backdrops. The EP only contains six “Something”-titled songs, but there’s a strong diversity in the production that allows Adé to show his skills across a range of styles. The Lil Baby-assisted “Something New” is the drowsiest song on the tracklist, yet still contains uplifting melodies that keep your head high among the slurred flutes and downtempo percussion. Lil Baby’s subtly melodic contributions add nice dynamics during the second verse, seemingly right in his element as his vocals slide beautifully in the pocket. 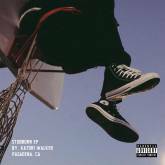 On the next song “Something From Nothin’,” Rich the Kid pops up with a rousing 16, gleefully bouncing above the beat with engaging vocal inflections and ad-libs. 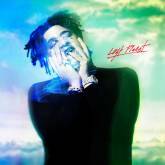 Adé more than holds his own on the first verse and chorus, adding nicely to the vibrant production for one of the more exciting songs on the project. The weaknesses of the tape are fully evident when he experiments in sparser soundscapes, however. 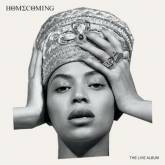 “Something Real” is one of the most enticing songs on the tracklist with a D.C. linkup of Adé, GoldLink and Wale, but the stuttering instrumental doesn’t allow any of them an environment that’s worthy of their talents. Serving as the outro of the tracklist, it closes the EP on an unsatisfying note, rather than tying it up with the send-off it deserves. Likewise, the intro “Play Something” also leaves something to be desired, with hints of soul that don’t have a solid enough foundation to truly resonate. When the harmonizing background vocals enter the scene midway through his verse, you feel the optimism he’s attempting to convey, but the bare-bones percussion and a lack of complementing sounds keep the emotion from reaching its full potential. Thus, the highlight of the tape is undeniably “Something Sweet,” with an infectious energy that instantly gets you on your feet. Ad-libs from legendary hype man Fatman Scoop do not disappoint, accentuating Adé well to keep the party rolling. On the chorus, Adé pays tribute to a classic Missy Elliott track that also features Scoop’s incomparable voice, interpolating the hook from “Lose Control” as he implores you to get your back off the wall. Always Something is only a sample size of what Adé brings to the table, breezing through in less than 20 minutes. Still, his versatility is a major selling point, which gives plenty of reason to be excited about what else he has in store for 2019. He’s far from new to the game, but it’s clear he’s looking for a fresh start; on attempt number one, he makes it undeniable that the new Adé is worthy of your attention.